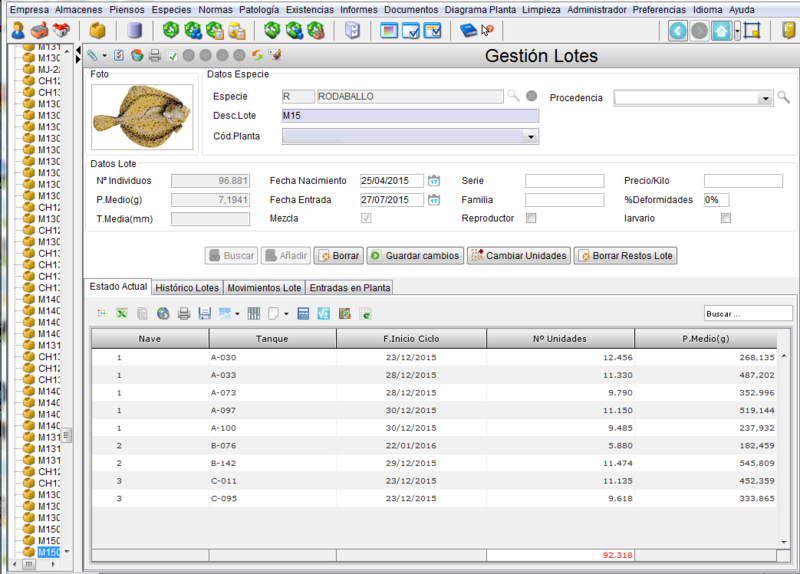 Obtain real time information about all that happens in your marine species rearing and fattening systems, leverage it to optimize your decision making, automate your processes and improve your productivity. Aquaculture has the particularity of working with living beings, mainly fish and seafood whose existence, development and quality depend on several factors in which chance plays its part: feeding, environmental conditions, diseases, etc. That is to say, it is a non-deterministic production system, in which predictions must be approximated using fairly complex models. When working with small volumes, it is possible to acquire over time the experience required to control all of these factors: however, when it comes to large aquaculture plants, the situation becomes impossible to handle manually in a professional way. 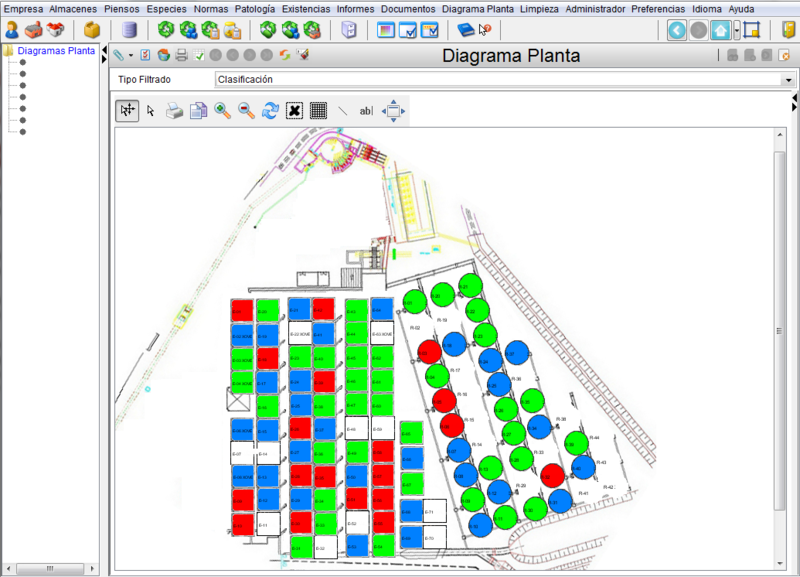 Our solution for this sector allows you to integrate all the information regarding your plants and tanks, standardize and automate your working processes, define business rules, forecast growth, estimate the economic value of your inventory and comply with international traceability standards, as well as many other benefits. Cloud-based (Saas) or on premises. Integration with other applications and systems. Look & feel and component personalization. Additional support and training services. Monitor what happens in all your plants and production tanks from a single point. Our solution allows you to visualize everything that happens in your aquaculture company in real-time, from the conditions in which the marine species live (water temperature, population density, etc.) to their activity and health status (diseases, fattening, reproduction, etc.). The data provided by sensors and other advanced systems that are present in the plants, is captured by the solution to be displayed in a simple graphical form and on multiple devices: desktop, smartphones, information screens, etc. This way, data collection is automated and the decisions made by the personnel in charge of managing production are optimized, allowing them to always obtain real and objective information, regardless of the production volume or number of plants and tanks. With all the available information, you will be able to make the right decisions for your fish to grow as much and as quickly as possible: diet changes, disease treatment, tank transfer and classification management, etc. All these decisions can be automated thanks to the integration with the different systems used in your plants, like mobile feeding robots, temperature controllers or mobile operator devices. 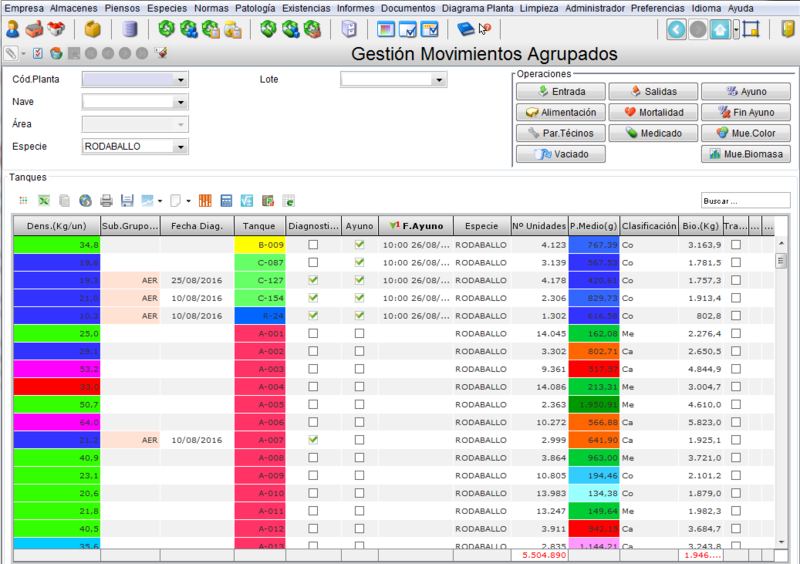 Furthermore, our solution includes other productivity tools, such as growth simulation, economic inventory valuation and configurable business rules. By integrating in a single application all the systems used in all of your plants, your working methods will be standardized and processes will always be performed in a consistent way. This normalization helps reduce training time, facilitates the movement of workers between positions or plants, and even makes it easier to open new plants. Current international regulations require aquaculture companies to trace all their product batches at all levels of the production, transformation and distribution chains, from the breeding to the retail stage. The objective is to be able to act in light of any issue related to those batches; therefore it must be possible to know exactly what has happened to them during each of these stages. Our solution allows this traceability, for both batches and feeds, providing the authorities with all the information required by law. 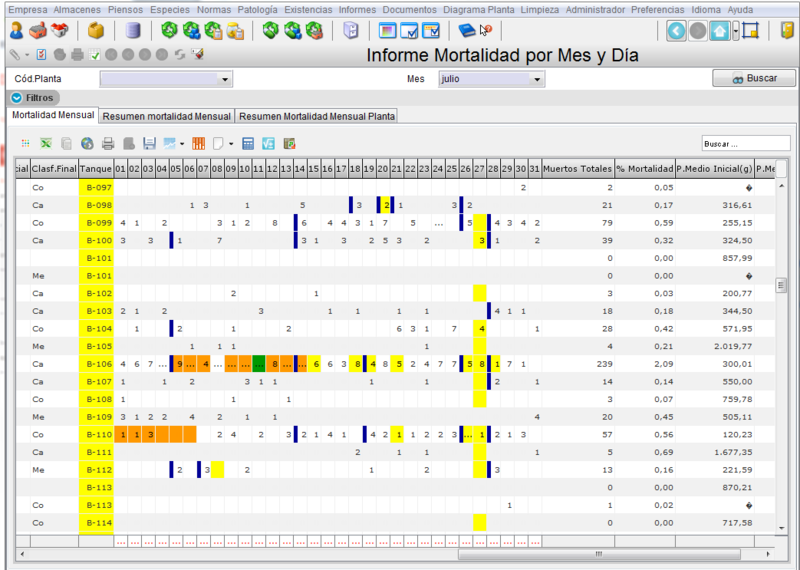 Internally, it is possible to obtain complete reports for production analysis (activity and inventory, comparative growing trials, yield calculations, historic data, etc. ), as well as carrying out all kinds of audits. Choose a solution that resolves the principle needs of the aquaculture sector, which is already implemented in other companies similar to yours and that allows you to move forward without needing to innovate technologically. A solution designed for the long term that is highly configurable, that allows you to continually prioritize what is important, and that integrates easily with your other applications.